No more standing in line for that latte. 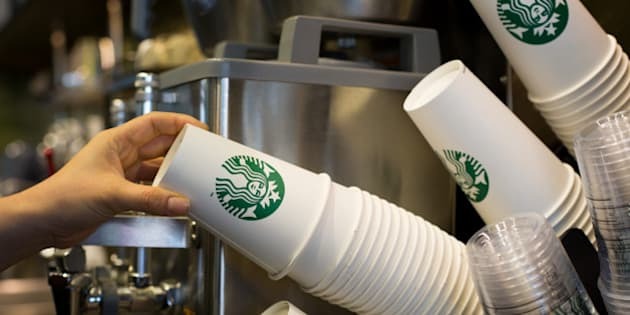 Starbucks Canada will introduce a mobile payment system that allows customers to order their coffee in advance to some of its Toronto stores next week. The Mobile Order & Pay option has already rolled out across the U.S. and will begin in 300 company-owned stores in the Greater Toronto Area beginning Oct. 13. Other Canadian cities will see the service in 2016, but for now, it will be available in Toronto, Markham, Scarborough, Richmond Hill, Unionville, Vaughan, Etobicoke, Aurora and Thornhill. The Mobile Order & Pay function will be available to people with the Starbucks mobile app for iPhone. The service may mean less time in lineups because customers can select a store, order ahead, pay and get loyalty rewards before they arrive at the store to pick up their coffee or food order. Estimated pick up times are shown in the app before a customer confirms their order. Currently, 18 per cent of all in-store transactions in Canadian stores are made through mobile payments, according to a news release issued today by Starbucks Canada.